It is truly remarkable how East Africa, and specifically Tanzania has in a short period of time become the main focus of attention as a source of new global gas supply. Large amounts of foreign investments have been invested in the Tanzanian Oil and Gas industry after its discovery. These investments have made East Africa the next lucrative market in the international scenario. A seminar on opportunities and new technologies in the industry will be another significant highlight of the event. Since 2010, Tanzania has witnessed further exploration and discoveries of significant quantities of natural gas both on- and off-shore. 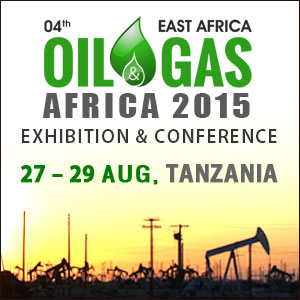 The first Oil & Gas Africa - Int'l Trade Exhibition, will be held from the 27th to the 29th of August 2015. This event will be the hub for key players in the Oil and Gas industry, attracting leading oil, gas and petroleum companies from around the world. Oil & Gas Africa will offer participants the opportunity to showcase the industry's latest achievements and technologies while networking with key figures from the region's oil and gas sector. The exhibition brings the industry together in a forum that is conducive to business. This event is not only a key international event on Oil and Gas exploration in Tanzania but also an important platform for establishing and building business relations globally.